Randy, BlueOval Ralph, Fatboy and anyone else please feel free to correct me if I make a mistake. Here are some photos of my dual I. R. Dominator carburetor set-up. The early sand cast Dominator got there name by the way they were cast. I not sure when people started to call them sand cast, but you can easily tell a sand cast by how thick the base of the carburetor is, compared to a new Dominator. Look at where the throttle shafts are, and the holes are for the carburetor studs to pass through to see how thick it is. If you look at the photo above you can see that the air bleeds are sticking out of the carburetor. I was told that the reason for this was to keep dirt from piling up and clogging the air bleeds. These carburetors also have 3 circuit metering. I'm not sure who did these modifications the Ford engineers or Smokey Ynick. These carburetors came from Smokey Ynick to Dyno Don, to Roy Richard then me. 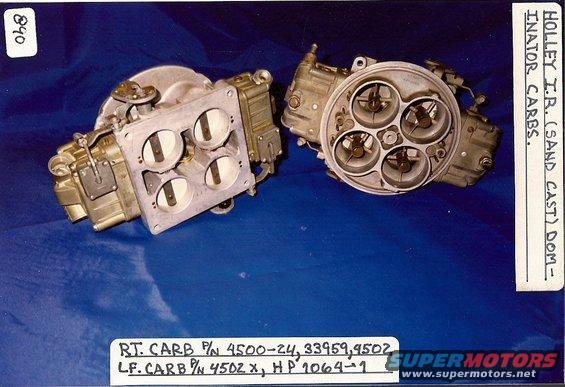 Randy told me that Dyno Don tried to use these carburetors on a tunnel ram but they did not perform very well. 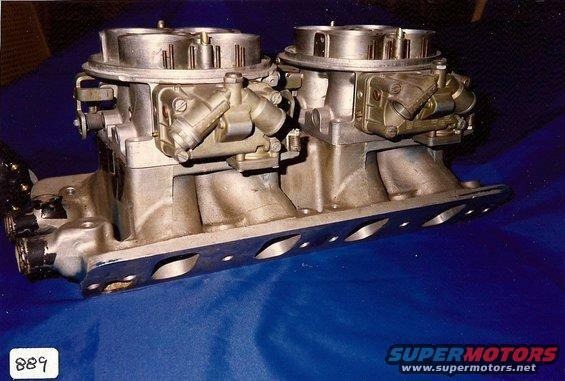 That's because I. R. carburetors have long booster venturis about 2" in length to work with the I.R. intake. Again I hope that you can see the long booster venturis in the photos above. The next photo shows the intake and offset dist. The intake has #36 inscribed by hand, so we know that they made at least this many. Richard Rodeck sold this intake to me with the offset dist. I think it came from Bud Moores shop. I'm not sure, I will have to ask Richard. gus nice set up,but i don't think danho needs pictures! he has owned 2 set ups that i have seen and probably the most complete i have seen ,but that don't mean much. 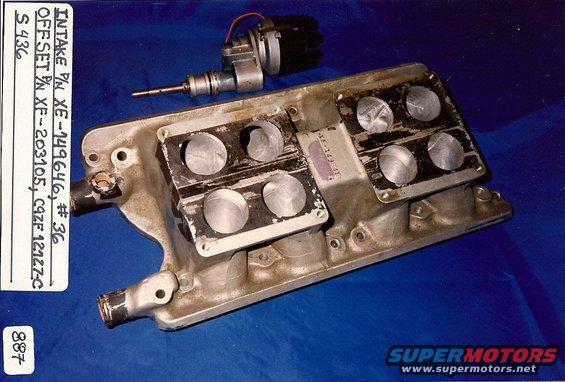 your intake looks to be early does it have the cross overs under carb in the intake? i would say linkage/airbox-bat wing,fuel logs,shaft to connect to two stage pump and cam gear is missing? These are early photos and have collected a lot of the missing parts. I don't need the bat wing air cleaner have something else in mind. Yes it does have the cross overs, you can just make them out on the last photo on #1, #3, and #6 runners. Danoh and I are good friends and he kept talking about the AMC's using Dominators on there T.A. cars. And some members asking questions that I thought I would post some photos. It's hard to say if it's an early intake. Like I said it has #36 inscribed on it. The carbs have #15 and #16 inscribed by hand on them. The carbs seem to be early, have to do more research one of these days. Freezing the video frames from the Donnybrook youtube video I can get a pretty good look at the top of the carbs. They don't appear to be exactly the same as Gus's carbs. They don't have the small vertical tubes as shown on the Gus carbs. I can't see the bases of the carbs well enough to make a call. If I remember correctly, the dominator carbs weren't out to the public in 69 anyway. Ford commissioned Holley to build them. So anyone who had them in 69 had "pre-production" parts. All my library notes are back at the women folks home in San Antonio. I have not yet moved all my stuff to the frontier. I can't look up the dominator history until the weekend. danho sent you some pic's fowarded to me check your email . Do you really expect me to believe that info is in your book of know-$#!+. Chris, I'm sure Richard down under appreciates you not screwing up that intake. I've seen a killer pic of it mocked up on a motor with Webers. of course the info is in there. You tool. yes he sent me 1 to very nice the sob was bidding on the A4 block i was !!!!!!!!!!!!!! well my own fault i told him about it!!!!!!!!!!!!! i sold him that stuff too cheap!!!!!!!!!!!!!!!!!! lol at least i made a freind and a place to stay if ever down under!!! Danoh!, Wouldn't that make you one of them 'polygamist' in the great State of Texas... or just Mormon? TA28: Atleast they're not fighting... how refreshing that must be! I wouldn't know... obviously. Steve (Ford-FIA) checked with Brooke on the use of Dominators by AMC in '69. Brooke thought no, looked like 600 Holleys to him. The Holley engineer (I mentioned elsewhere) said Ford's Dominator project was initially for Nascar to feed the Tunnel Port 427 head in late '67 or early '68, but I don't recall exactly. My Distributor has number 39 on it, so that is a new high for you. My friend that was a Holley guy back in the day. 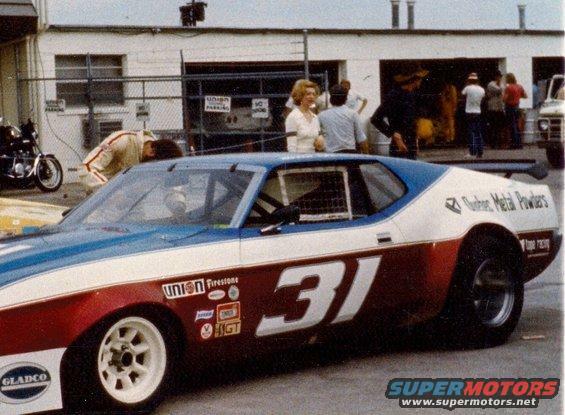 told me the Dominators for NASCAR were secondary to FoMoCo wanting carburetors for the IR Trans Am program. 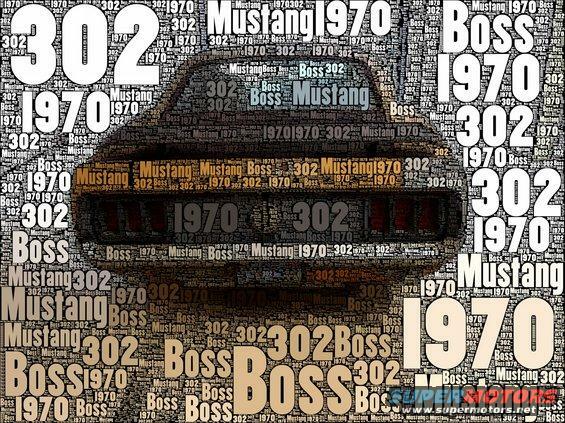 Webers would not be legal so Ford hired Holley to build the next best thing. BTW, They also bought Holley's entire 1969 production run. The price I heard on the sandcast Dominators was either 22,000 a pair or each. Randy has more insight. 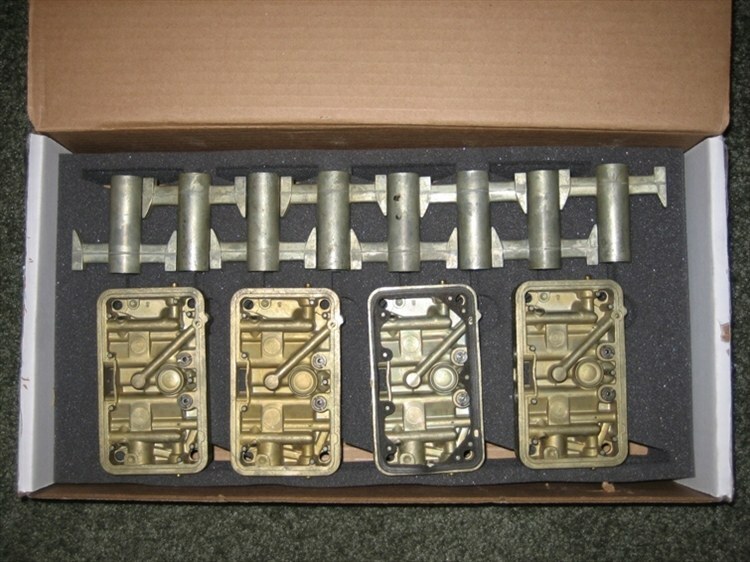 the sandcast dominators are also pretty porous, and the 6214 carburetors don't work out of the box. But I've had help from someone on drivability issues that has real world experience with them and Dyno time. Plus Randy is not getting out of helping. 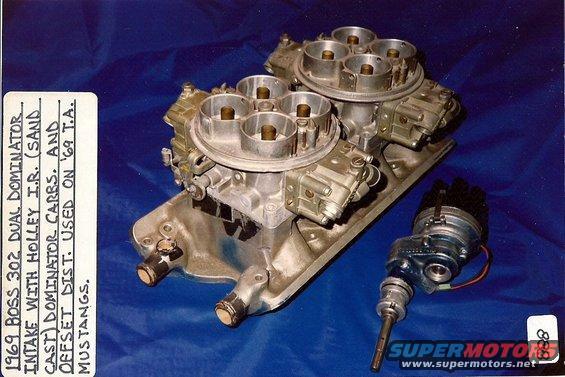 Gus, in addition to the three circuit metering in the carburetors the actual metering blocks are different between the IR carburetors and the non-IR carburetors. long boosters, shown below out of a 6214, and the metering blocks note there are not any power valves or power valve circuitry in the carbs. Danoh, Walk away from the light, don't go near the light, that is what did me in. I am a moth. As you know. But I've let two of these dollar bill to noise converters go. I'll not be trying to make a 3rd one run. Although I would like something mildly exotic for my new street car project. I'll see what falls in my lap. I'm still obsessed Danoh, as you are aware. good thing I started when this stuff showed up occasionally. john i think WE all know you are obsessed with the towers of power! LOL but i think you will be 1 of the few to get them to work. Page created in 2.128 seconds with 22 queries.